A beautiful dress featuring organza layered over a coordinating coloured fabric, organza ruffle sleeves and an organza sash. Also comes with a generous integral petticoat and covered buttons. 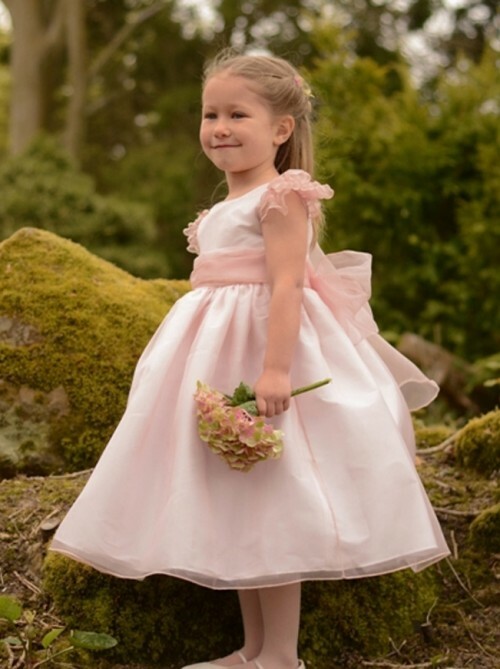 The perfect dress for flower girl, bridesmaids and parties. Available in stock in Peony Pink as shown.